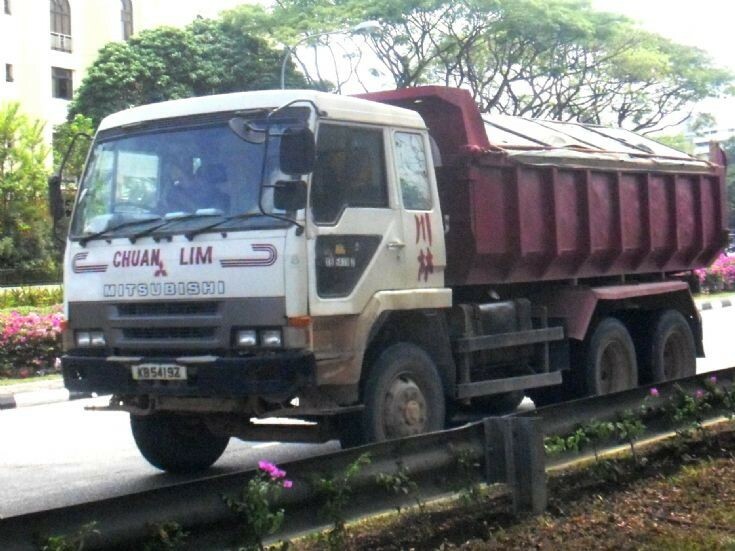 Owned by Chuan Lim Construction Pte Ltd, this Mitsubishi Fuso Great FV416 series dump truck which is spotted here loaded with earth is on its way to dump the earth at Gambas Avenue in Singapore. Its white and dark red livery is different from the company’s official dark red livery. See picture #11652 and picture #2223 for the dump trucks of other brands and models. Photo taken in Mar 2010.